“I think Arena has a hit on their hands!” exclaimed the person sitting next to me at the conclusion of the Opening Night performance of Fiddler on the Roof last month. I think she was right. The popular musical is celebrating its 50th anniversary and Arena’s production was directed by Artistic Director Molly Smith. Fiddler on the Roof takes place in a small Russian village called Anatevka back in 1905 on the eve of the Russian Revolution. It tells the story of a Jewish father struggling to maintain tradition in his family while his daughters are embracing modernity; the story is told in the backdrop of racial and cultural hatred in Russian society against Jews. Fiddler stars Jonathan Hadary as patriarch Teyve, who does a superb job of portraying the character’s complexity. The musical numbers are memorable, from ‘Tradition’ to ‘Sunrise, Sunset’, but the one that sticks out in my mind the most is the ‘Wedding Dance’, which is performed near the end of the first act. 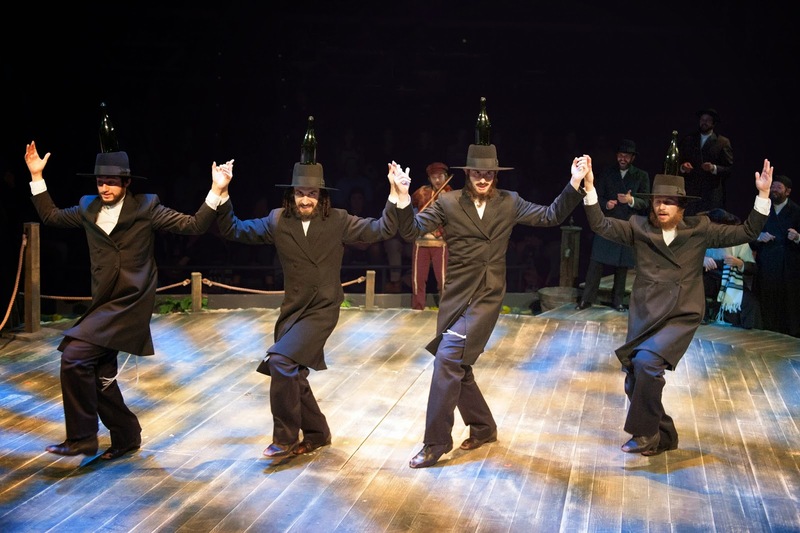 Spending an evening (or afternoon) to see Fiddler on the Roof is definitely worth your time and its run at Arena Stage has been extended to January 11 at the Fichlander Stage. Tickets start at $50 for select performances and more information is available here. Parade of Lights This Saturday!